If you’re seeking a kind of cultural cheat-sheet, NYC-ARTS is a great resource for all of your arts and culture needs. “On multiple platforms, NYC-ARTS aims to increase awareness of New York City’s nonprofit cultural organizations, whose offerings greatly benefit residents and visitors,” the organization explains. New York City has an overwhelming amount of artistic offerings; from dance to gallery openings, to public art, and theater festivals, the opportunities to indulge in the arts are quite literally limitless. New York City Ballet’s 2014 Winter Repertory Performances. From January 21st to March 2nd the New York City Ballet will be performing pieces from its annual Winter Repertory. If you love classical ballet, you’ll enjoy programs such as “Concerto Barocco,” as well as the anticipated return of “Jewels.” David H. Koch Theater, Manhattan. 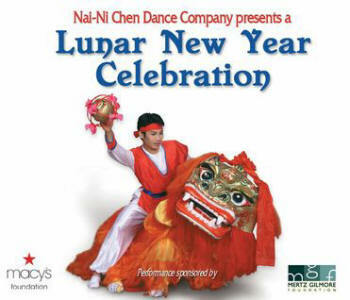 Nai-Ni Chen Dance Company’s Lunar New Year Celebration. This one-time performance is part of the World of Dance Series organized by the Brooklyn Center for the Performing Arts. This performance is a celebratory event that incorporates traditional Chinese arts, and is going to be a visual delight. Sunday January 26, 2014, Whitman Theater in Brooklyn. Saint-Exupéry made as he crafted his beloved story that reminds us that what matters most can only be seen with the heart.” This exhibit will delight lovers of literature and art; it will feature original pages of manuscript, photographs, drawings, and more. January 24th-27th, Morgan Library & Museum. 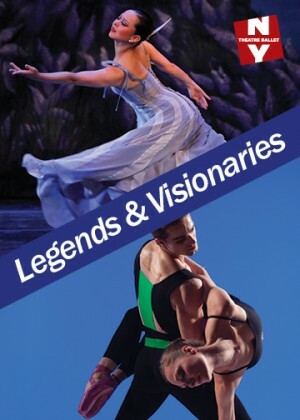 New York Theater Ballet: Legends and Visionaries. This performance commemorates 35 years of dance with programs that feature classical ballet combined with more contemporary visions. These performances will showcase the blending of styles both old and new, illustrating the range of talent and vision encapsulated by the New York Theater Ballet. Performances scheduled from January 24th to May 10th, Florence Gould Hall, Manhattan. Activist New York. This ongoing exhibition at the Museum of the City of New York features artifacts, photographs, interactive components, audio and visual presentations to tell the story of activism in NYC. From feminist picketing, civil rights, labor, and LGBT activism, this exhibit allows history to unfold before your eyes. Ongoing at the Museum of the City of New York, Manhattan. What arts events are you excited to attend?